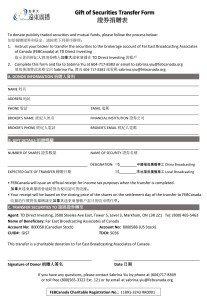 Complete this form and fax to Sabrina Yiu at 604-717-8383 or email to sabrina.yiu@febcanada.org. FEBCanada will issue an official receipt for income tax purposes when the transfer is completed. Your receipt will be based on the closing price of the shares on the settlement day of the transfer to FEBCanada. 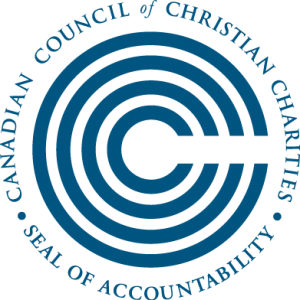 At the discretion of FEBCanada, contributors’ designated gifts will be used where most needed when funding exceeds objectives or when the project/programs cannot be carried out. If you have any questions, please contact Sabrina Yiu by phone at (604)717-8369 or toll free (800)565-3322 Ext. 121 or by email at sabrina.yiu@febcanada.org.